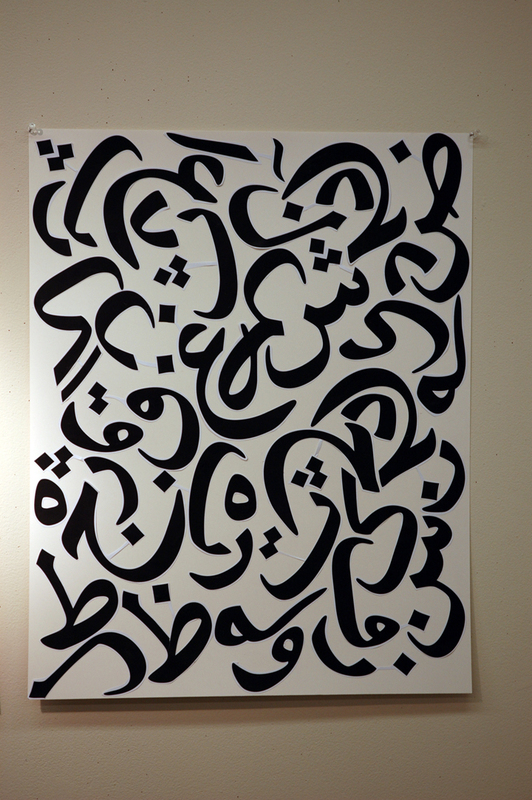 Some gems from early experiments with Persian type. Above: MCAD student Amy’s stunning first sketch, developed by hand. Be on the lookout for a new upload to Geotypografika Flickr with process shots from this exciting new project from two type classes I am really enjoying this semester. Minneapolis had snow last Monday and we were also doing mid-term reviews, it seemed an appropriate challenge to immerse ourselves in a purely formal exercise with Persian type–something almost as exotic and beautiful as snow in October. Both groups enjoyed the challenge so much we agreed to continue aided by the computer. The simple brief: 32 characters, 24×36, B&W, somehow isolate or highlight the four additional characters that make this alphabet unique, and, it must be beautiful–it must be snow. We are perhaps a bit naive in our first uses of these forms, and yet we have sworn fidelity to them nonetheless! Though our efforts are largely formal and abstract, our thoughts are with the people to whom these forms mean so much. We welcome critique and input from afar! 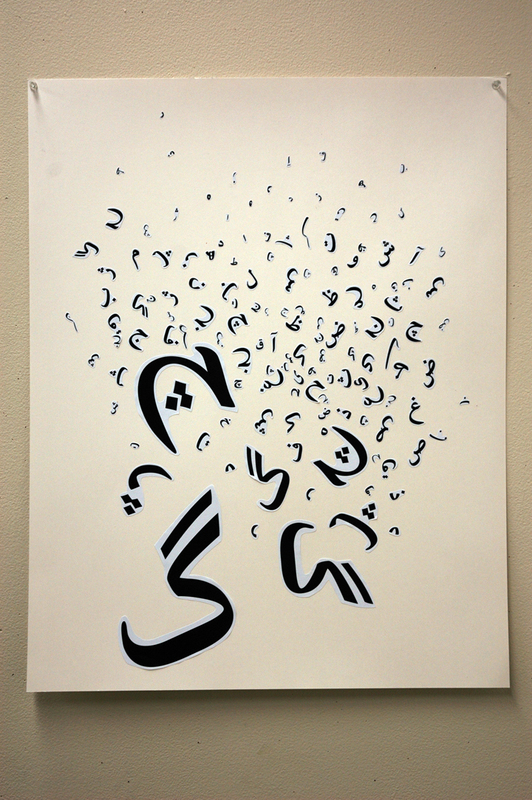 Perso-Arabic Snow: Some gems from early experiments with Persian type. Thanks, Tousue, there is much more, the students seemed to really enjoy the challenge. Will get those up soon! They sort of remind me of confetti in a way w.
That first one is awesome to look at though. This entry was posted by Erik Brandt on Friday, October 16th, 2009 at 3:32 PM	and is filed under Aktuell, Ephemera, Geotypografika, Globalization, Graphic Design, International, Internet, MCAD, Minneapolis, News Links, Typografika, Typography.